To me, it’s really amazing how I started writing a book. I had been giving creative lectures for over a year. One day, while living in Seattle, I was scheduled to do a lecture in Portland Oregon. I went down, had fun doing the lecture, and was ready to fly back to Seattle. But I found out that because of bad weather the flight would be delayed for a good hour. I was already in the airport, so I slowly walked around. Noticing a bookstore, I went in to get a self-help book about the Internet. The woman at the desk told me those books would be on the back wall. As I was walking down the aisle an odd book caught my attention. Actually, it wasn’t the book but the book’s cover that hit my eye. Bright red, bright yellow, bright blue. I was about to continue walking toward the back wall, but stopped, and went over to the intriguing book. I picked it up. It was about revolutions in South America. Hmm. Out of blind chance I opened up the book in the middle, and read the first paragraph. Good God! It was awesome! That chapter of the book was about Peru and the revolutionary group the Shining Path, or simply called the SL (Sendero Luminoso in Spanish). I bought the book and then boarded the plane back to Seattle. When I got home there were 4 more lectures to prepare for, so I put everything aside and did some all-nighters. At the end of the week, I was sipping tea and noticed that colorful book again. I started reading the full chapter on Peru. The more I read, the more I could imagine the brainpower and imagination of the SL’s leader. His obsession was frightening. Blood was spilling throughout the land due to his goals and compulsions. The government was equally pounding back bullets. I gave a short whistle, put the book down, and went to bed. Weeks later the SL wandered through my brain. In fact, one day I stopped working on the lectures and flashed on a fact: I’m going to write a book. ‘What?’ another voice screamed through my brain. ‘You have no idea how to write a book. This is stupid!’ Actually that voice was correct, but at the time I brushed the voice aside. I won’t bore you with all the assiduity I went through, but eventually I constructed an outline of a story filled with fears and affections, dreams and doubts, along with some good ol’ guilts. I connected these emotions to different characters in the book that live in the city I love the most-Seattle. And then I tied it all together with the SL revolution down in Peru. Needless to say the idea worked. 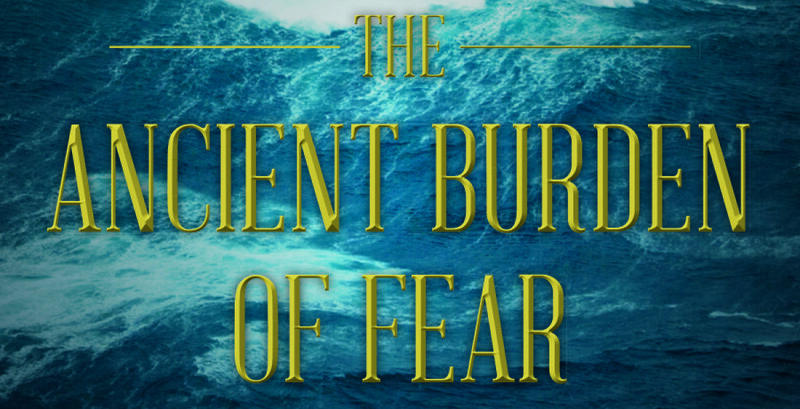 ‘The Ancient Burden Of Fear’ was created. I also thought of putting more wonder into the book with a spiritual idea that there is no ‘ME,’ or ‘I,’ or ‘YOU.’ This may sound ghostly but the idea was presented centuries ago by the Big Buddha to free people from their fears. He said, “Listen up ace buddies. So long as we hold the ballsy belief that there is someone who is experiencing all our pleasures and pain we will continue to grasp at pleasure and do everything to avoid pain. As our mind moves incessantly between these states of craving and aversion we’ll constantly be agitated and our minds won’t ever achieve the one thing we’re all after, lasting peace and happiness.” OK, maybe he didn’t use the slang, but he did present a lofty idea with sharp details that I didn’t go into here; however, this concept of no-self is colorfully and tenderly revealed in one of the scenes of the book. And finally, because of who I am, and the women I’ve loved, this book is packed to the rafters with romance.